On Thursday, the development team behind the Wonder Building announced that the building would be marketed for lease by NAI Black and JLL to regional- and national-scale office tenants. Naturally, given that we once called this our favorite building in Spokane, we were quite interested in any new details which could be gleaned from this release. The Wonder Building, located at 821 W. Mallon on the North Bank, will, at build-out, include 112,000 square feet of total space across three floors, including a basement and a 12,000 square foot public market on the ground floor. In addition, a rooftop patio and conference center will feature panoramic views of Riverfront Park, the Spokane River, and Downtown Spokane. The building is expected to be ready for move-in sometime this summer. We already knew about many of these details. We did not know, however, that the building would feature floor plates of as much as 20,000 square feet. In the commercial real estate world, this type of layout is perfect for large-scale creative tenants: technology companies, coworking facilities, and other major employers in the services sector. Combine that with the adaptive reuse of a historic brick structure in the core of one of the continent’s most beautiful cities, a growing, highly-educated workforce, and you have a particularly compelling case for, say, a WeWork or even perhaps a Microsoft to open a Spokane-scaled space here. The use of JLL as a commercial real estate advisor raised eyebrows, as they have not historically done much work in the Spokane area. 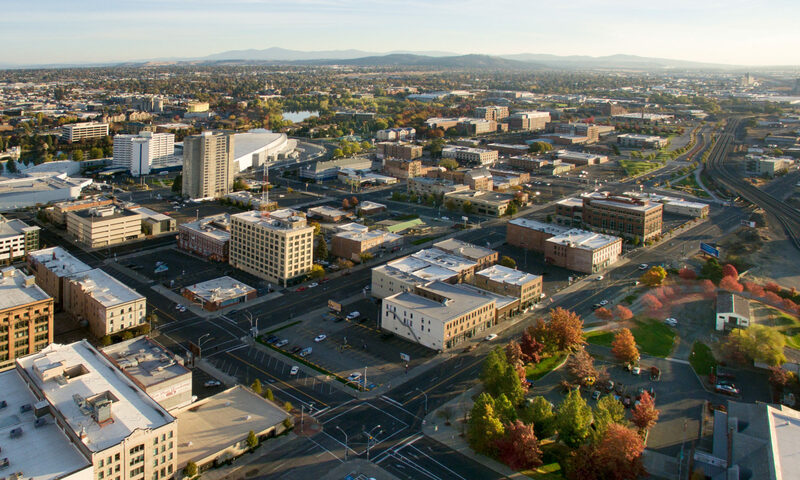 We already have branch offices for F5 Networks, Rover, Egnyte, and a number of other major tech companies starting to locate in Spokane. Could more be ready to follow? Maybe the Wonder Building could provide some clues. SHARE YOUR THOUGHTS: Are there any particular businesses or types of businesses you’d like to see in the Wonder Building? What are you hoping will fill the market on the first floor? Share your thoughts on Facebook, on Twitter, in the comments below, or in person. We love to hear from you!